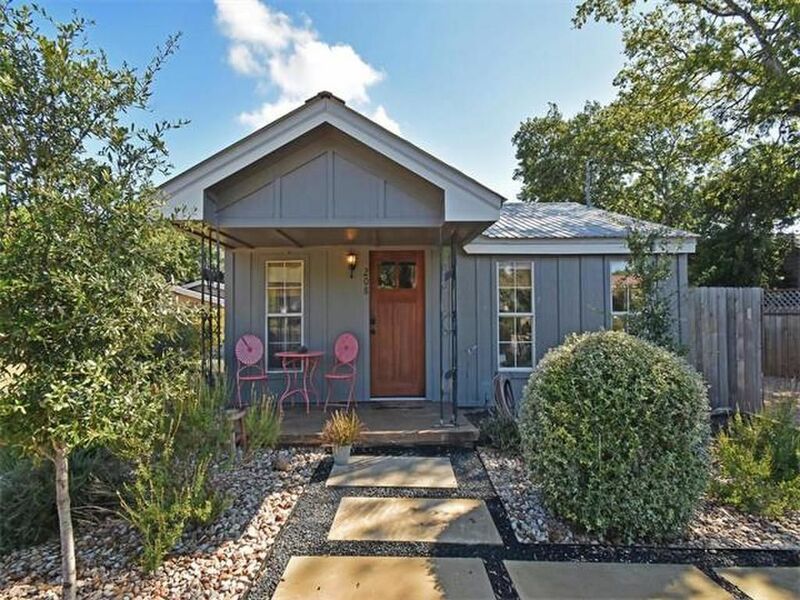 This remodeled cottage in Austin, Texas, was recently sold to a lucky homeowner via Realty Austin. The three-bedroom home is just over 800 square feet (74 square meters) and was built in 1945. The extensive renovations took the home down to its studs and rebuilt it with all-new materials. Although small, the house now feels bright and roomy with vaulted ceilings, light paint throughout and an efficient furniture layout. 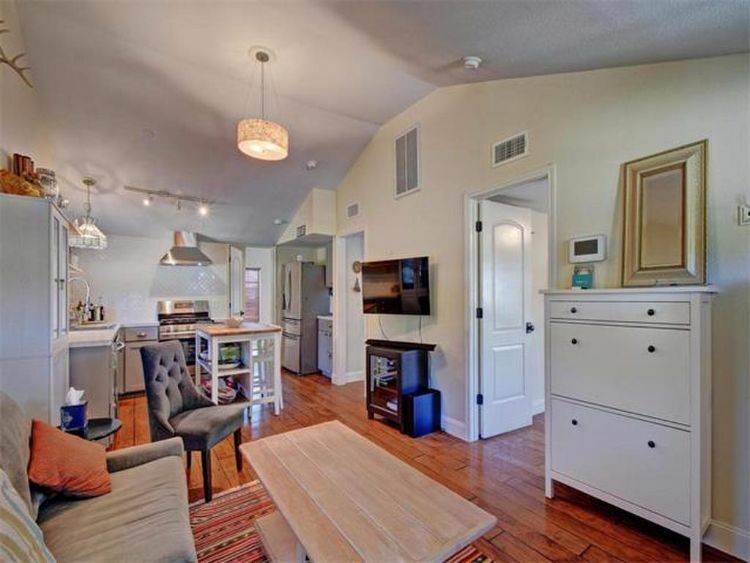 The entrance leads into an open floor plan that includes the living room and kitchen. From there, you can access the bedrooms and bathrooms on the right side of the house. Take a full tour of the adorable home below. Enter the house into the comfortable living room. Neutral furniture is paired with colorful textiles and artwork to create a well-balanced space. The room is bright and cheerful thanks to plenty of windows and a light color palette. The living room is part of the large great room that also includes the kitchen. Although square footage is limited, a soaring ceiling makes the room feel spacious. The kitchen features gray lower cabinets and open shelving in place of uppers. 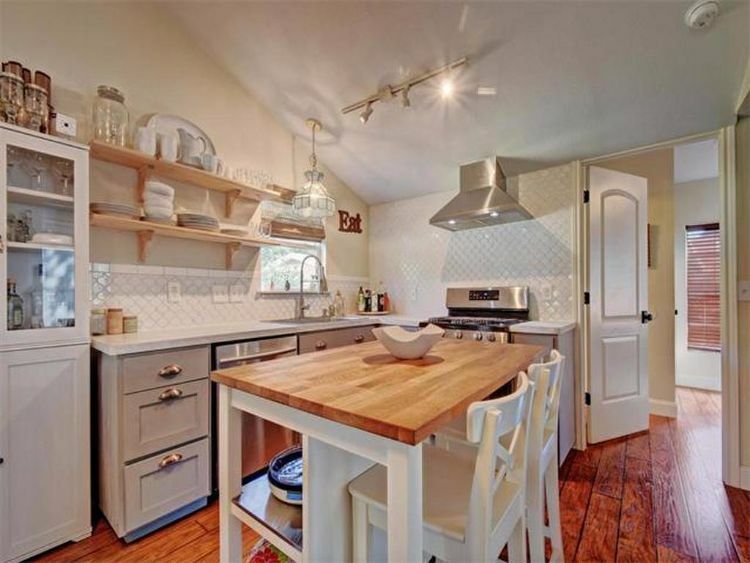 A butcher block island provides dining seating and an additional workspace. 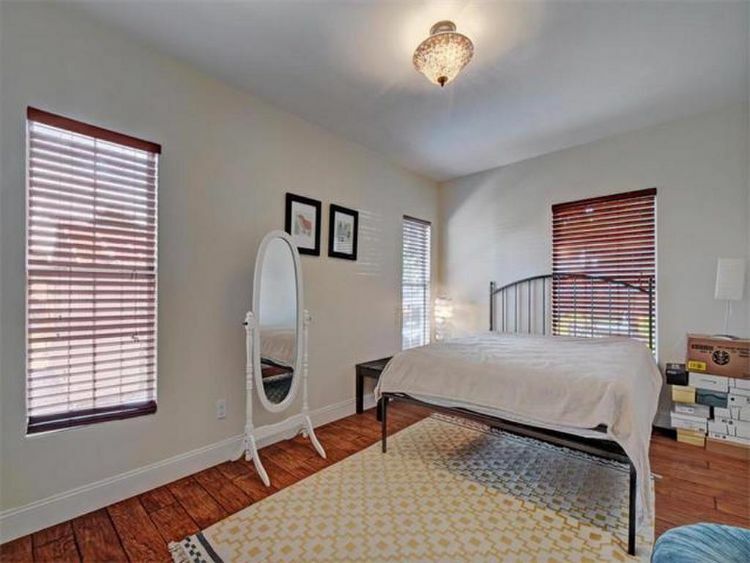 Hardwood floors were installed throughout the home, including in the bedrooms. This simple room is the perfect size for a cozy bedroom. This bedroom is currently being used as another sitting room. 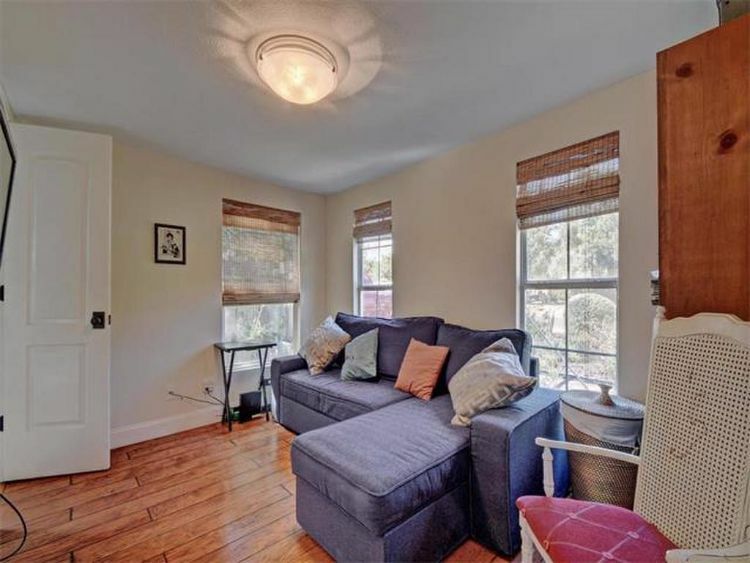 Three windows brighten the room; natural light is so important when dealing with a small space. 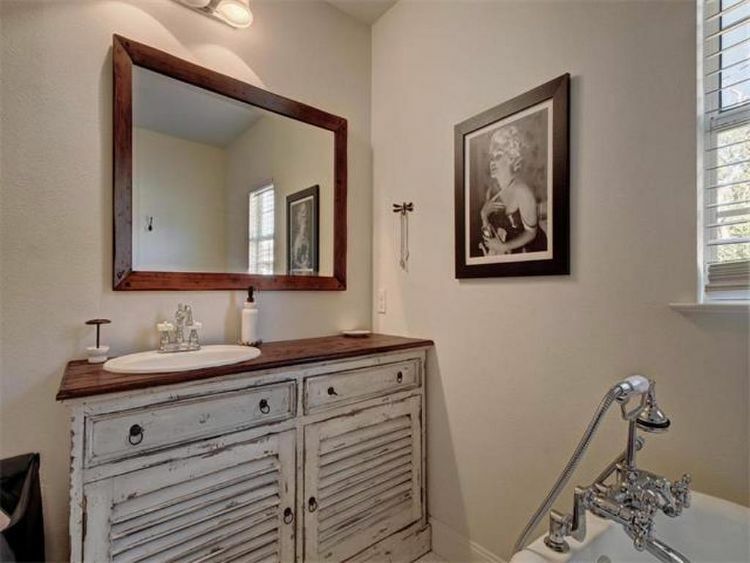 The bathroom features a shabby chic vanity with distressed paint. A wood countertop and claw-foot tub add to the bathroom's country style. 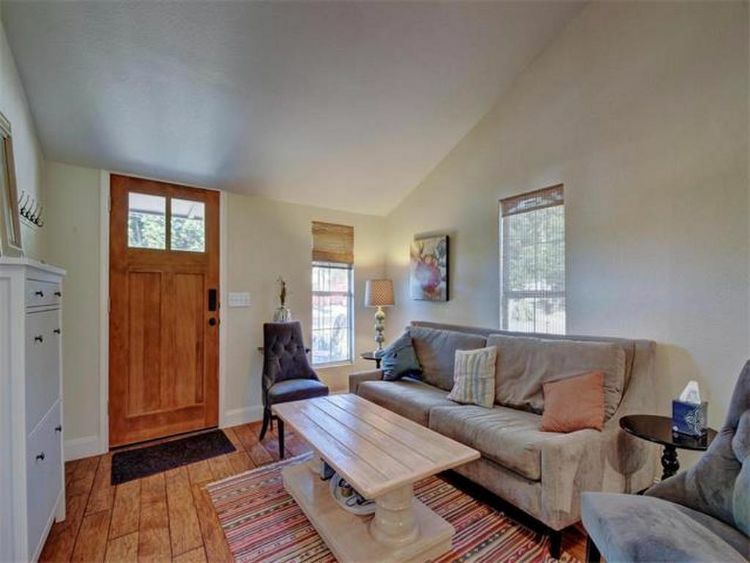 What do you think of this remodeled cottage? Inspire your friends with these small space living ideas by sharing this home tour on Facebook, Pinterest and Instagram.